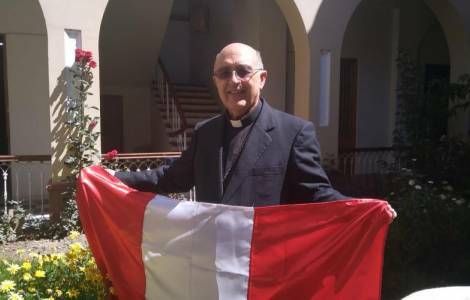 Lima (Agenzia Fides) - "It is really a shame", said Peruvian Cardinal Pedro Barreto, Metropolitan Archbishop of Huancayo, commenting on the asylum request to the government of Uruguay by former President Alan García, investigated for corruption. "This, clearly speaking, is a mockery, it is a lie what he has said to the whole country, he lied to us", underlined the Cardinal. Cardinal Barreto referred to the statements released by Garcia last Saturday, November 17: former president had said that he had not violated the order of the court that prevented him from leaving the country for 18 months, while a few hours later he entered the Uruguayan ambassador's residence to seek asylum. After the resignation of President Pedro Pablo Kuczynski (PKK) for corruption, Peruvians promoted a review of the behavior of previous governments: Alberto Fujimori, Alejandro Toledo, Alan García and Ollanta Humala, finding very serious cases: everyone was involved in the investigation for corruption, for having received bribes from the Brazilian multinational Odebrecht (see Fides 20/12/2017) or in other cases. The Catholic Church in Peru insisted on the exercise of "fair justice" at all times, especially after the visit of Pope Francis in Peru at the beginning of 2018, when meeting the Bishops in Lima, the Pontiff asked: "What happens in Peru if every time a president finishes his term, they put him in prison?" The Episcopal Conference announced an intervention to comment on the complex situation that the country is experiencing.